In the comment section of my most recent article, Dirk MacGirk asked an interesting question: If you were designing the game today for a fresh launch tomorrow, what would you change to ensure not repeating the past? Of course, that question is completely theoretical because this is not realistically going to happen, but it did make me think. After more than ten years of in-game history and metagame evolution, we have arrived at a point where fundamental principles of the game’s design have lead to a situation that many find unsatisfying. The current sentiment appears to be that nullsec has become too empty of content and it has long been the accepted truth that highsec is played out as well. Since we are not going to get a “reboot” of EVE, I decided to write down my own analysis of the current situation and speculate on some possible solutions that could realistically be implemented. I am not going to write about modifications to the sov-capturing mechanics though. This is a subject covered extensively elsewhere, and personally I find that there is a much more fundamental series of problems that can not be solved by changing the mechanics of sovereignty acquisition alone. In its initial conception, EVE was built as a PvP game. Back then, highsec and sovereignty did not exist. PvE content only served as a means to earn any ISK necessary for the acquisition of PvP assets, and as such it remained underdeveloped. During its development, EVE became more complex and grew beyond direct ship-to-ship PvP. Soon, it accommodated empire building, which included political metagaming PvP. Eventually, EVE became the interesting game we have today where players can write history and shape the political landscape. At the same time, everything else remained more-or-less equal. 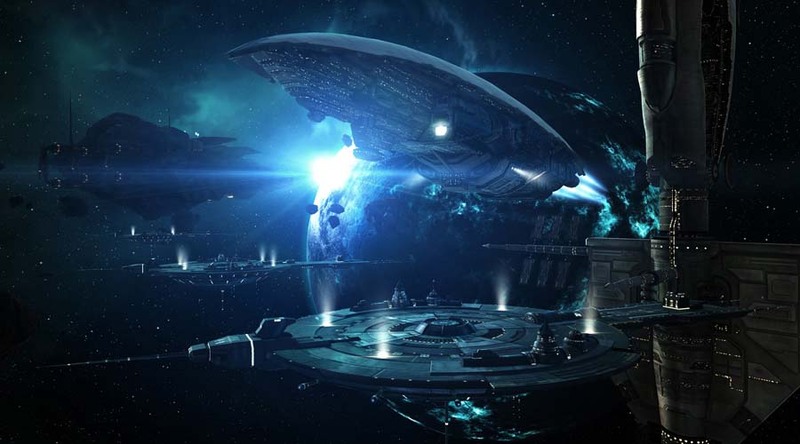 Conquering and effectively pacifying large parts of sovereign nullsec did not introduce any rewards except upgrading the output from PvE activities and the potential side-effect of becoming famous in-game either as a group or as a leader. 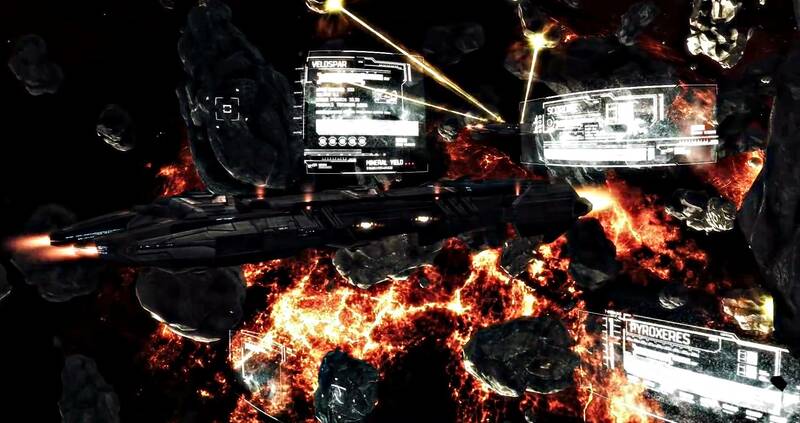 Once all of nullsec had been conquered, CCP faced an uphill struggle to introduce conflict drivers which were supposed to make players fight, but they did not introduce new mechanics which make a pacified nullsec region interesting to have or open up new ways of gameplay resulting from establishing a well-organised empire. Many people will say that this is not the purpose of the game which they still consider to be spaceship PvP above all else. As a result, one of the main criticisms leveled against the nullsec empires is that they are mainly comprised of risk-averse players who just want to level up their wallets and maybe join a fleet or two each month to satisfy their alliance’s activity requirements. We have to acknowledge, however, that there are players in this game—and most importantly potential players —who are not necessarily interested in spaceship PvP alone, and EVE is one of the few games which offers opportunities for other gameplay. Even today we have exploration corps, industry corps and marketeers who play the game in a much different way from someone like my alliance mate Niden or myself, who just want to undock and have a fight. 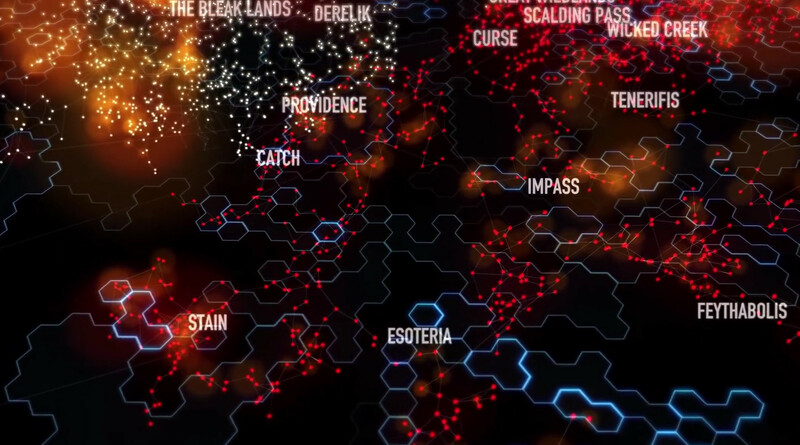 EVE has a very complex and interesting crafting system, and there are players who find it satisfying to delve deeply into that and develop their industrial complex. There is even a trailer which advertises this playstyle as a valid choice. I would say that those players deserve a challenging and interesting gaming experience just as much as the most enthusiastic PvP crowds, and sov-nullsec could be the perfect location to build up the necessary infrastructure that can provide such gameplay. Highsec also deserves some consideration here, but the largest rewards for building a space empire should definitely be available in player-owned space. This is the obvious complement to the first problem. If there are large, longstanding and established player alliances, they will acquire ever more assets over time and that eventually makes them unbeatable. This can take many forms. In today’s game, we see such things as the structural buildup of Providence, which has long been a detracting factor against any attack on that region. 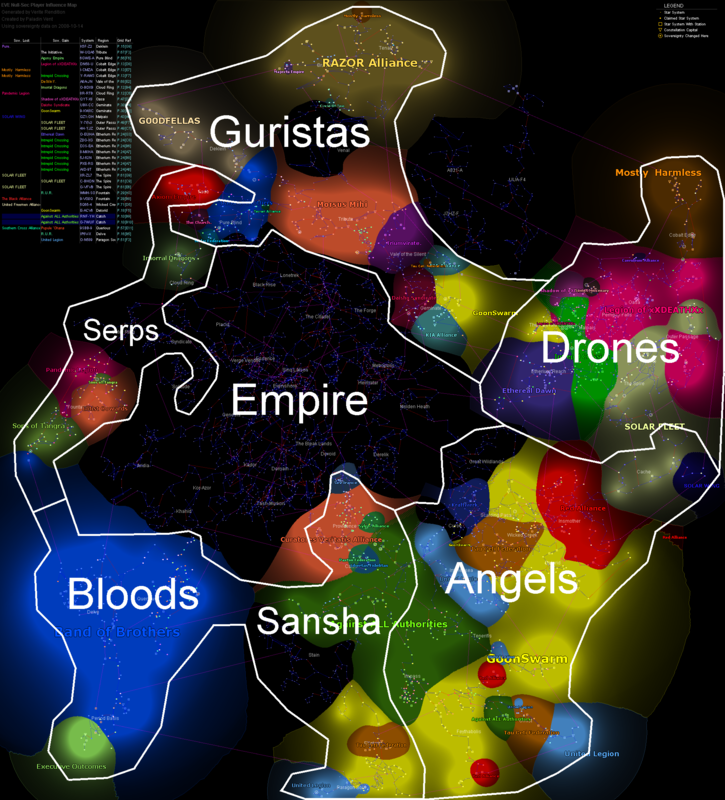 We have the immense number of players united in The Imperium, and we have the concentration of high-skill players with large (super)capital fleets in such organisations as Pandemic Legion, Black Legion or NCdot. With the increase in asset proliferation, the high-skill groups are facing inevitable decline though. There was once a time where a group made up almost exclusively of high-skilled veterans consistently held the advantage over a mass-movement including many new players. They could fly more powerful and skill-intensive ships and field more tactically elaborate doctrines which made it possible for them to outclass opponents on the field. 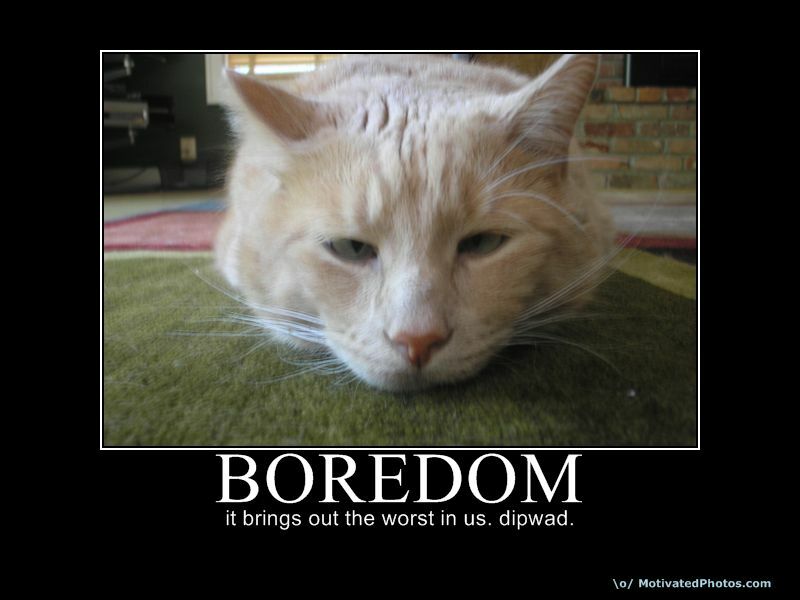 Given time, however, this advantage will inevitably vanish. The days that Goons were newbies in Rifters are long gone, and today even Brave Newbies can bring dreadnaughts and triage carriers to a fight. Eventually, all established groups will have large (super)capital fleets and will be able to field T3 blobs. When that point is reached, the N+1 meta wins and there is nothing anybody else can do to break it on a strategic level. Something needs to curb that dynamic, or a day will come when nobody can stand against the established powers, no matter how innovative and advanced they may be. Many people will be familiar with the infamous strategic doctrine of denying fights to the enemy. The Goonswarm FC Reagalan is widely known for publicly declaring this as his methodology, but it is not limited to Goonswarm or even nullsec warfare alone. Over time this has become a mainstream strategy aimed at breaking the enemy’s morale. Highsec PvE corporations do exactly the same thing when they are faced with wardecs. They deny the opponents the content they are hoping for by not fighting them. There is a major difference here though. A group of inexperienced and largely peaceful highsec miners and mission-runners often have no other chance than to go to ground. They cannot be expected to include experienced fighters in their ranks. A sov-holding alliance, on the other hand, should at least have a PvP wing that can take the fight. The quoted example clearly shows that in this case they did have the forces to engage but chose not to because that supposedly would encourage their opponents to keep the war effort up. That this form of gameplay can be successful is a fundamental flaw in the game’s design. Reagalan and others who engage in such tactics are not objectively doing something wrong. Their success proves that, but it makes no sense that such a tactic should work in the first place. Sovereign space should require an effort to maintain, and not engaging in a fight should not be an option. In other conflict areas, there are built-in mechanisms or player-enforced ethics which make sure that similar tactics are kept to a minimum. In Factional Warfare, the option to sit back and wait for the opposition to pass by will eventually result in a system being conquered and that means all the assets in it will become inaccessible for the passive players. In wormhole space, there is a tradition of evicting players who consistently deny fights to everyone they encounter, but the size of nullsec alliances prevents the enforcement of such a rule. The introduction of Entosis Links as a method for contesting sovereignty has somewhat alleviated the problem and turned sov-warfare more into something similar to Factional Warfare, but the system is still lacking. At the centre of the problem lies the incentive to engage in a fight which comes from the necessity to do so. This also needs to be balanced against the legitimate concern that players should not always be forced to engage someone they can not possibly defeat, but at the end of the day nullsec shouldn’t be the place for risk-averse gameplay. If you cannot or will not defend what you have conquered, then you also do not deserve to keep it indefinitely or get the opportunity to put measures in place which make it aggravatingly boring for the attacker to engage in conflict. Whenever a discussion occurs that deals with sov-nullsec, one major point is raised: to build the necessary infrastructure, organisation and assets for living in sov-nullsec takes a lot of time and effort. Many nullsec players consider it unfair that they are being accused of risk-averseness considering how much they invested and how hard they fought to build what they have. This problem is currently aggravated by the increased difficulty of nullsec logistics due to the Phoebe jump mechanics. Even if it were possible for established nullsec groups to become completely self-sufficient in their area, how could anyone hope to make the move into nullsec space with the large amount of assets necessary for them to establish themselves? Currently, it is prohibitively difficult to reach any of the more remote regions when moving through hostile space. On one side, that introduces an interesting dynamic where players have to negotiate safe passage and find allies, but on the other hand it also creates an immense entry barrier and that plagues nullsec in general. By comparison, wormhole space is much easier to settle. A prospective wormhole corporation would have to invest time to find a good location, but once they found it, the logistical effort to bring all necessary assets there is not that difficult except maybe for some the higher class systems which only have static exits to nullsec and other high-class wormhole systems. Those locations also offer a much higher reward though, and that makes the extra effort viable. In nullsec there is no such differentiation. Despite the increase in logistical challenges, Tenal or Omist are not necessarily better regions in which to make a living than Cloud Ring or Querious. If we want people in nullsec to take more risks with their assets, then we need to make it easier for them to establish themselves. Of course not everything that can be achieved in sov-nullsec should be delivered to players on a silver platter. There have to be some high-level goals which can only be achieved by well-organised groups who manage to pacify whole regions. The important thing here is that this must not be a winning condition for nullsec gameplay, but a different playstyle altogether which can exist on an equal basis. To illustrate what I mean by that I will refer to the lowsec microcosm I am currently most familiar with. Here, we basically have two major groups occupying the same area while engaging in a different style of playing the game. On one side we have the Factional Warfare players who have the option to harvest loyalty points by engaging in various PvE and PvP activities and have a designated set of targets they can freely engage without negative consequences. They also face the risk of becoming locked out from stations if they lose system control and to avoid that they actually have to engage in PvE activities (i.e. plexing) to some degree. On the other side there are the outlaws who purely fight because that is what they want to do. They do not have the option for LP farming and they will take sec status hits whenever they engage non-criminals as well as fire from sentry turrets if they choose to fight close to a structure. On the other hand, they will always be able to dock wherever they like. No one can deny them access to station assets anywhere. Both groups have their own benefits and drawbacks, but when the right field of battle is chosen (i.e. not at a gate or station), they fight on equal terms. No side has a higher chance to win purely based on game mechanics derived from their affiliation. Nothing ever changes in the underlying structure of the nullsec environment. This issue has actually become more aggravated by the introduction of truesec which locked regions into a static PvE content profile. The expectation was that this would create an incentive for players to try and conquer systems with good truesec ratings. In effect it has resulted in the opposite, making certain regions too low-value to even bother conquering them. Providence is a good example of that. This problem has a lot to do with PvE content, and I have written at length on how I think PvE should ideally be given form in EVE. The fact that there is “good space” and “bad space” and that this never changes no matter what players do is not only completely counterintuitive but also creates too many incentives for coveting certain regions and never moving anywhere else. The immutable state of nullsec space also makes it way too easy for large groups to engage in market manipulations because they can always be assured that certain loot items will only exist in their space. The result is also that protected PvE enclaves off the major traveling routes can be established and maintained indefinitely, which encourages the development of unrestrained AFK ratting. Truesec has to become fluid and the behaviour of NPCs more dynamic. Not only would this introduce more realism into the game, but it would also create a system of diminishing returns. It should not be possible to create areas where no player can go safely without facing overwhelming defense fleets, but NPCs will come there in droves just to be shot down indiscriminately by players. There is simply no way that the Guristas or the Angel Cartel are so incredibly stupid that they will keep setting up sanctums in systems occupied by hundreds of capsuleers. Similar things apply to asteroid and moon resources. In planetary interaction there is already a built-in depletion mechanic, limited as it is, but there is no such thing with belts and moons. They just replenish indefinitely. At the beginning of this article, I wrote about how I would like to see a way for established space empires to have unique benefits. Now, I am closing the circle to come to the unique drawbacks that they should face. If players descend onto an area and strip it of all resources like a swarm of locusts, they should eventually face a scenario where the stream of resources runs dry. This would create a built-in limit to the exploitation of an area and an incentive for intelligent resource management. Despite the fact that I personally do not like the emergent cadre of EVE bureaucrats, I do acknowledge that they have a place in the game and since there are players who enjoy that sort of gameplay, they should be given more interesting things to do. This could be one of them. At this point, I have spent quite some time on identifying problems. In doing so I have not only applied my own perspective but tried my best to include many of the complaints and suggestions that turn up time-and-again during discussions about sov-nullsec. Next week, I will return to this subject with a number of proposed solutions for those problems. It is likely that I have missed quite a bit here, and that I will miss a lot in my proposals, so I encourage your feedback and criticism. I am not a master game designer after all. I do know for a fact, however, that CCP reads and considers sufficiently well-written analyses, and they do make an effort to take them on board for their game design. Even if they wouldn’t, I do enjoy the thought experiment. We may not be able to start over with a clean slate, but I believe in the possibility that EVE can be nudged onto a new development trajectory by making the right changes to the mechanics.